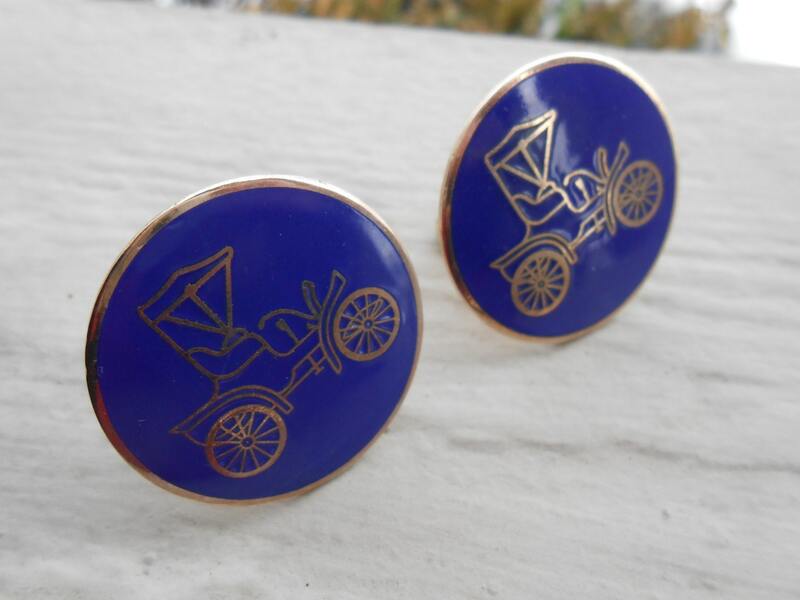 These vintage cufflinks would be perfect for the guy who loves old cars! 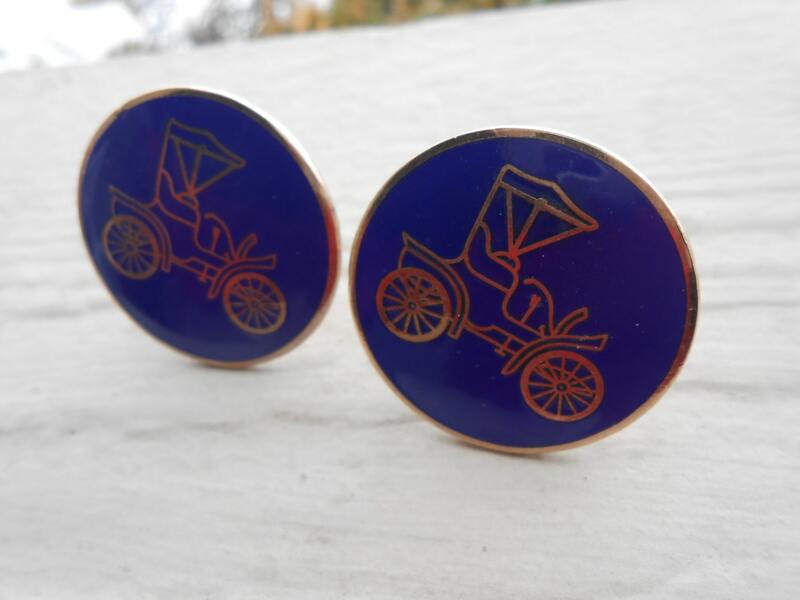 Each cufflink has an old, antique Model T car on it. 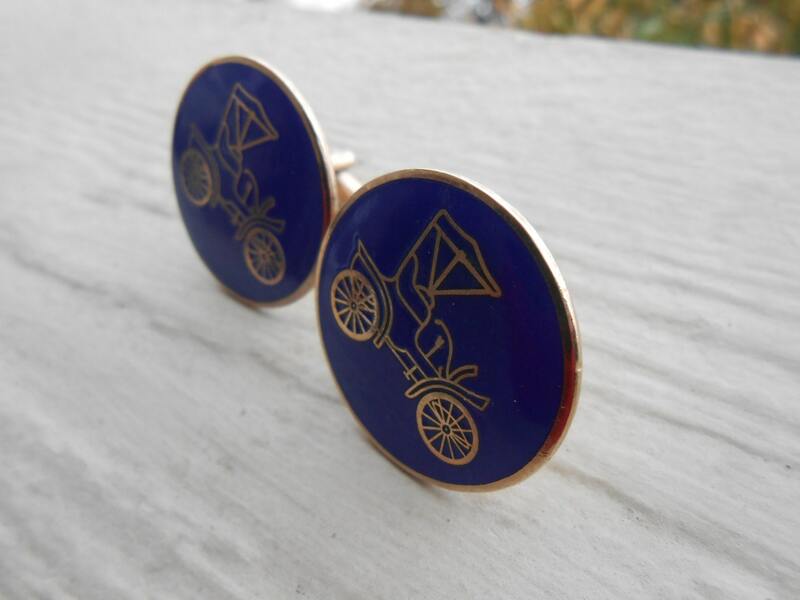 They are gold, with blue enamel. 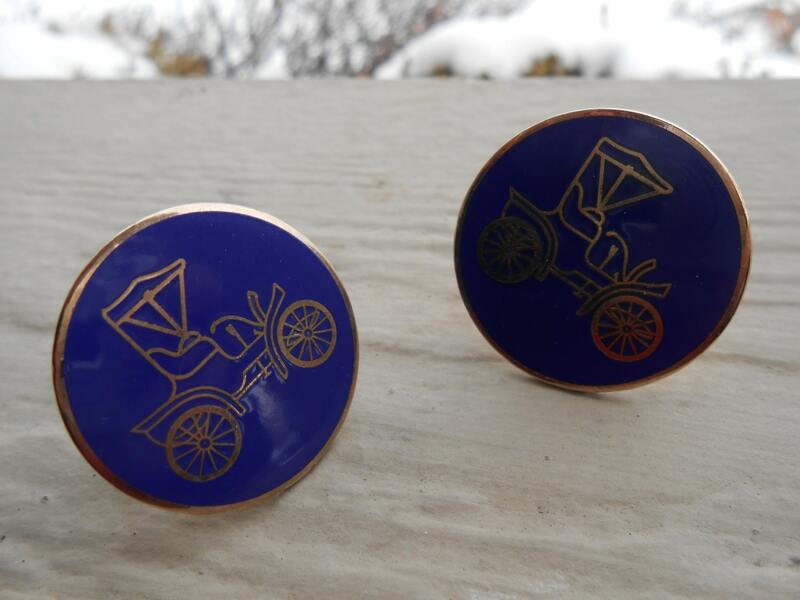 These are very cool and would make a great gift! They measure about 1 1/8". 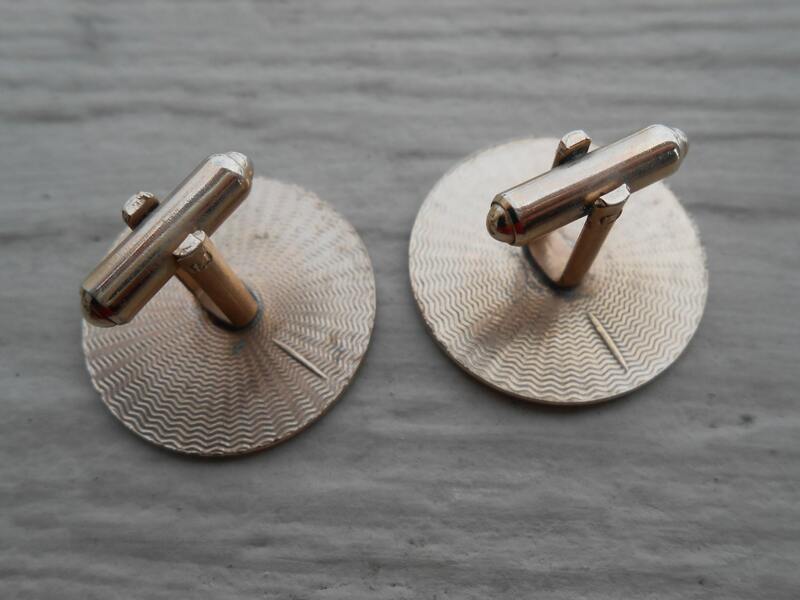 These were made in the 1970s and are in good condition.